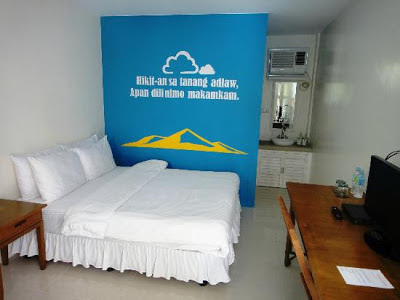 At first we were hesitant to book this place as we scout in Agoda and Trip Advisor for other options meaning for cheaper accommodation since we wanted to try to stay overnight in Amorita Resort. But then a deal came up in Ensogo and I couldn't pass up the chance. Of course, I have to verify it directly to the Amorita Resort/Momo Beach Sales office about the deal as I don't want to be scam like the others. 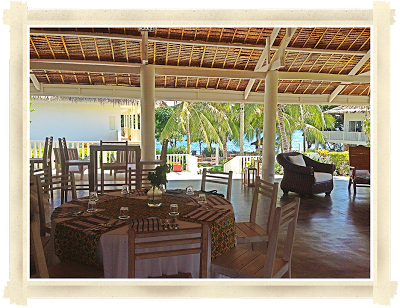 Yes you heard it right, Momo Beach House is under the same management of Amorita Resorts Group. True enough, the deal is legit and they are very nice to answer all my queries concerning the deal. Who couldn't resist this deal? An overnight stay for two with free breakfast, roundtrip airport-hotel-airport transfers (I was told that it cost 650 per person), free Wi-Fi access and best of all free use of Kayak & Paddles Board and Bike! I confirmed this information when I called their Sales office and talk to Avery and Charlotte. After that, I hurriedly booked for 3 nights for me and hubby then 2 nights for my sister and her soon-to-be-husband. I know you notice the word "hurry" since at that time when I buy the vouchers I have only one day before the deal expires. Surprisingly, when I check Ensogo today they have extended this deal. I drop off the idea of spending an overnight stay in Amorita and decided to stay here in Momo Beach House for the rest of our Bohol trip which is 4 days and 3 nights. Php 10,164 was our total expense for the accommodation. What sold me into this deal was the place is just new so I know that the rooms, facilities and the surroundings are well-kept and clean. Plus, it's near the beach! And lastly it's a cheaper alternative of their sister resort, Amorita. 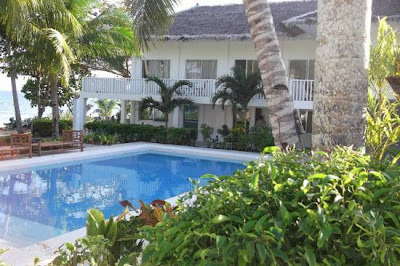 I requested for a standard room good for two person located on the 2nd floor overlooking the pool. Initially we wanted a view of the beach but turns out those rooms with that view are the family rooms. I got more excited to spend our Bohol vacation in Momo Beach House when I read an article published by Manila Bulletin under Travel featuring Momo Beach House. Hopefully by November we will still experience the serene, secluded and calm Momo Beach which is considered to be a secret haven.